Composed by Various. Arranged by Gary Meisner. Accordion. French. Softcover. 64 pages. Published by Hal Leonard (HL.311498). February 20, 2013 A Hit! 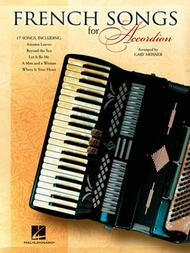 An accordionist friend said to me that I must concentrate on French accordion music. This book hit the spot exactly. The pieces are all hummable, not too difficult, and harmonically sufficiently interesting for the amateur. A great little book! the score well understandable for the accordion. I love the arrangements except i find it difficult to change over to the next page. It would have been possible to condense any song just to 2 pages each. Hopefully you take note for future arrangements. Most Manuscript Books have 12 stave pages. Beautiful songs, most are familiar, easy listening. 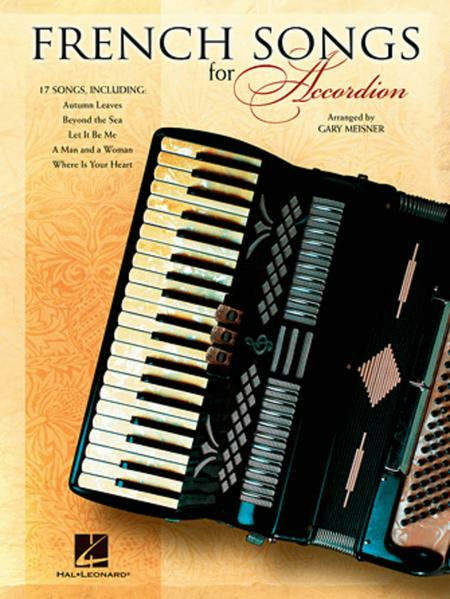 A great collection of non-classical and/or non-traditional French accordion music. with trills and turns etc., and the words to these songs tell stories of love and country.